Hip replacement is one of the most commonly done orthopedic procedures in India. It is a procedure in which the surgeon removes the damaged parts of the hip joint and replaces it with the hip implant made of metal, ceramic and plastic. This is done to reduce the pain and improve the function. A hip replacement surgery is usually the last choice of treatment when the hip pain starts interfering with daily activities and no other form of treatment has been effective so far. Osteoarthritis - This is a condition in which the cartilage wears off, causing the bones in the joint rub against each other leading to hip pain. This condition may be age-related or may also be due to a family history of arthritis. Rheumatoid arthritis - It is an auto-immune disorder causing inflammation of the synovial membrane. This causes pain and stiffness in the joint. 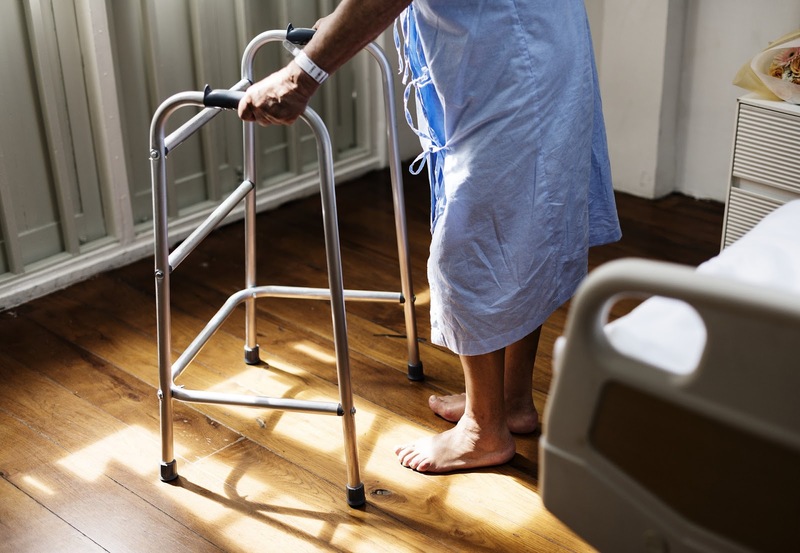 Post-traumatic arthritis - this occurs post a hip fracture or any hip injury, in which the cartilage gets damaged leading to pain and stiffness. Osteonecrosis - In some cases, the blood supply to the hip joint gets hampered as a result of some fracture or dislocation. The obstruction in the blood supply can cause damage to the surface of the bone and may also lead to arthritis. This condition is also known as avascular necrosis. Perths hip disease - This also involves the obstruction of the blood supply to the hip joint, due to which it may not grow in a normal way. This tends to cause arthritis at the later stages. Before you decide to undergo the surgery, the orthopedic surgeon will take a meticulous case history and have a detailed examination done. The investigations will include routine blood investigations, an MRI and an X-ray of the hip. The patient is also advised to stop taking the blood thinner if he/ she is taking any 24 hours before the surgery. During the surgery, an incision is made on the front and side of the hip. The incision made is deep to part the tissues away and approach the bone. This is followed by removal of damaged bone and cartilage without causing any harm to the healthy bone. Then, the prosthetic implant is inserted into the bone to replace the damaged part. The femoral head is replaced with a metal stem inserted into the hollow center of the femur (thigh bone). The upper part of the stem is covered with metal or ceramic ball. There is also a spacer made of plastic, metal or ceramic is inserted between the new ball and the socket to allow a smooth movement. The surgery is usually completed within 1-1.5 hours. After the surgery, the patient is shifted to the recovery ward to let the anesthesia finish off the effect. Just after the surgery, the patient is motivated to do some movement of the joint as early as possible. This is done to prevent the clotting of blood in the legs. The patient is advised to wear either compression stocking or inflatable air sleeves soon after the surgery. This is done because the pressure exerted by the inflated air sleeves will help in the prevention of pooling of blood in the leg veins. Moreover, the after the surgery the patient is recommended to take blood thinners such as aspirin for a few weeks after the surgery. Another most important step is to start doing physical therapy under trained physiotherapy. The exercises will help the patient to increase the strength and mobility of the joint. It will also help the patient in the use of the crutches, cane or any other walking aid. The success rate of hip replacement surgery is high. Moreover, with the world-class infrastructure and cutting-edge technologies available in various orthopedic hospitals in India, the success rate further rises to 90-95%. Another good news is that the hip replacement surgery cost in India is highly affordable, due to which the majority of the patients prefer to come to India for their treatment. The orthopedic surgeons here hold a rich experience and are highly skilled at their work. Other than this, the success of hip replacement also depends upon, to what extent the patients had been following the post-operative instructions given by the surgeon during the recovery period. It is highly imperative to do physical therapy and follow all other instructions. The hip implant can work successfully at for 10-20 years depending upon the patient care. However, in cases of failure, there is also a provision of revision hip replacement surgery in India.